I had a steadier output this time, and I give some of the credit to Dannie Morin whose #Plan4WriMo prep series motivated me to outline and plan the book in advance. This year was my 6th consecutive victory. A totally new project, near-future sci-fi, that I outlined in advance and am SO excited about. Catch up on housework, chores, bill-paying, etc. Get back to blogging or editing or other writing-related work that was shunted mercilessly aside. If you’re a writer who participated or just happen to live with one, rejoice! It’s over for now. And in case you missed it, Red Sofa Literary Agency (my agency) did 30 posts in 30 days about writing, authorship, publishing, etc. This is their way of supporting the crazy authors of NaNoWriMo, and it also happens to make for great reading. With NaNoWriMo out of the way, we can shift our attentions from writing to pitching. This Thursday (12/4) is Brenda Drake’s #PitMad, a Twitter pitching event that’s open for all genres. My friend Diana Urban, who landed an agent through #PitMad last year, is running a pitch practice event on her blog. Please head over there if you’d like feedback on your pitch, or have some time to critique pitches by other authors. Next Tuesday (12/9) is the second #SFFpit Twitter pitching event on Twitter! 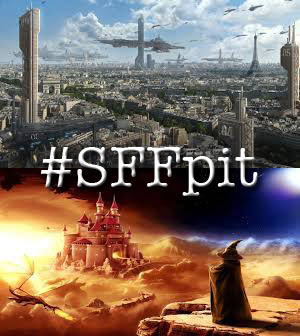 From 7 a.m. to 7 p.m. (Central Time), authors of completed science fiction / fantasy manuscripts can pitch their work to agents and editors using the #SFFpit hashtag. Last year we had over 500 authors participating, and (by my count) 26 literary agents from 20 different agencies. We’re hoping for an even bigger turnout this year! If you’re planning to pitch your work to agents/editors in #PitMad, here are a few tips. Schedule them in advance using a tool like Hootsuite, but make sure each one differs slightly (i.e. move the hashtag). Otherwise Twitter may not post them. Decide if you want to query agents or editors. You might get favorites from both, and generally you should choose one path or the other. Give us character, conflict, and stakes. Be SPECIFIC and avoid cliches. See also my Twitter pitching guide for some detailed advice on pitching your work. Please consider tweeting one of the tweets below to help promote our contest! Click to Tweet Science fiction & fantasy writers: Pitch your novel to agents & editors on Twitter! #SFFpit by @DanKoboldt is coming December 9, 2014.